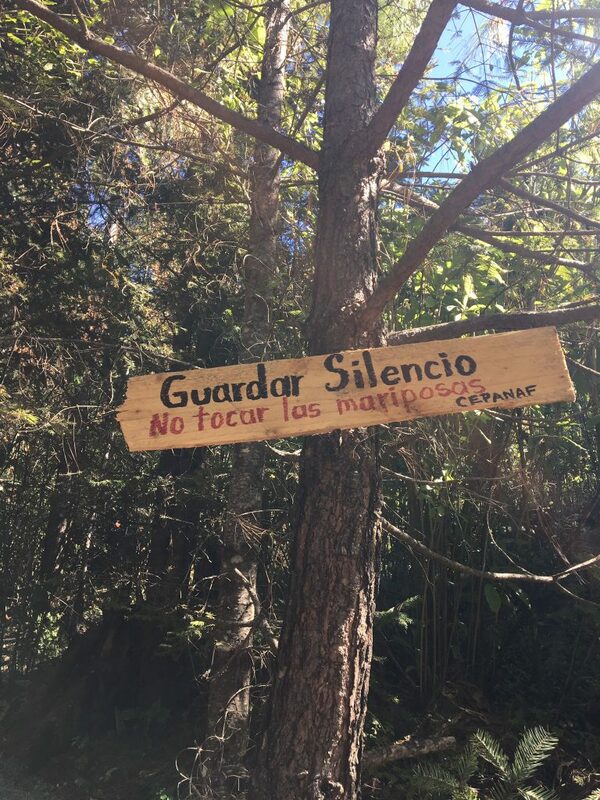 Article and photos by Kelly Shea, who is currently living in Puebla, Mexico, studying Spanish and spending some much needed time as a global citizen. 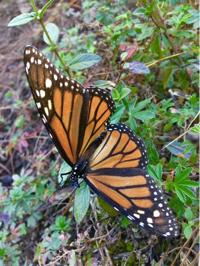 Similar to the life cycle of the monarch butterfly, I find myself here in Mexico in the middle of my own metamorphosis. I am at a point in my life of BIG change. I left a “Corporate America” job back in Boston that provided a lot of comfort and financial security….but not very much happiness. Perhaps like the monarch, I felt an instinctual pull to make this change. One day, the fear of staying in that life finally became more frightening than the fear of going. So I went. After about 4 months of living in the 4th largest city in Mexico, Puebla, and studying Spanish, I took a much-needed trip to rest and rejuvenate. 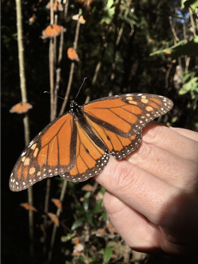 When I found out the monarch wintering grounds were only about 4 hours away and the time of year was perfect for their migration to Mexico, I booked the trip immediately. Beautiful natural wonders, open space, wildlife, fresh air and water were calling my name. The location of the Monarch wintering grounds is right near the border of two states in Mexico: Michoacán and Mexico state. “Las Mariposas Monarcas” migrate to the same small area of Mexico every year. The migration takes 3-4 generations to complete full-circle. The migration begins in Mexico and through multiple generations, the butterflies travel through the US and north to Canada, and then the 4th generation travels all the way back to Mexico from Canada: one of the longest migrations of any species. Male – showing the thin wing veins and the scent glands on the lower wings. Bright orange color. Female – thicker wing veins; dull orange color. The area they migrate to is high in elevation (approx. 10,000 feet), and the cool temperature, availability of water, and the Oyamel fir trees and other trees and shrubs are perfect for them and keep them coming back each year. And they come in the millions. Like many parts of Mexico, the economy is not great, and finding work and making a decent living wage is very difficult here. The butterflies bring the tourists, and the tourists in turn, bring the resulting jobs for some of the locals. 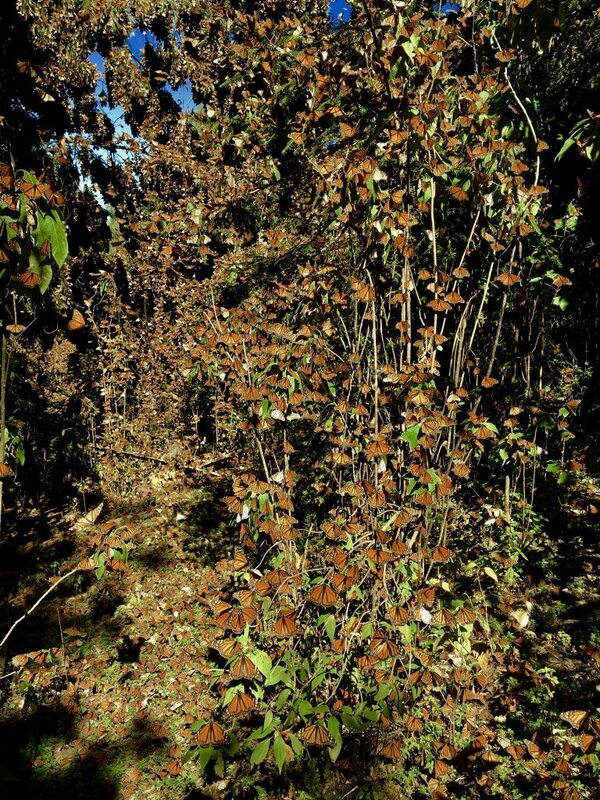 But the forests bring other economic opportunity as well: in the form of deforestation. And so there is always an element of competition between the two. 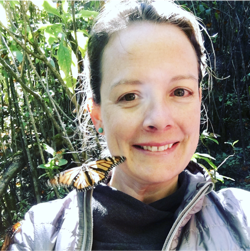 Over the years, the effects of deforestation and climate change have begun to impact the butterfly populations and the area has seen a decline in Monarch populations that migrate to the area each year. After a 2 hour bus from Puebla to Mexico City, another 2 hour bus from Mexico City to Zitacuaro, and a 30 minute taxi ride, I arrived in the small town of Macheros (population approx. 350 people). The next morning, we walked across town and met our guides and horses. The only way up is an extremely vigorous 2-3 hour hike if you have cardiovascular ambitions. I chose to take a horse with a guide up the dusty, rocky, steep terrain. My guide and my horse worked extremely hard to get me to the top of Cerro Pelón (the name of the mountain and one of several different sanctuaries for the butterflies in the area). The ride took about 1.5 hours. One of my companions on the trip noted that it felt like we were in the middle of a Disney movie. I couldn’t agree more – it truly felt that way. I was breathless with the magic of the experience. In the morning when the temperatures are cold, the butterflies tend to huddle in large masses in the trees, too cold for them to fly. But as the sun rises and the temperature increases, they begin to fly and it is truly magnificent to see. My apologies…the video can only be seen/heard on Safari – Go to full screen for best resolution. When you come up on a particularly dense area, you have to watch where you step or you will step on the Monarchs that cover the ground. In some places the population is so dense that they blanket the entire earth from floor to ceiling: ground, shrubs, trees and sky. In this area, the noise of their wings is incredibly loud and beautiful. To see this incredible video, you have to use Safari, full screen. To witness the culmination of this final stage of metamorphosis in the monarch’s life is truly breathtaking. The enormity of inspiration I can take from this experience and apply to my own path is infinitesimal. The journey of the monarch is fraught with risks and challenges, yet their instincts lead them toward the environment they need in order to flourish. Though there is much that is unknown on my path ahead, my goal is to follow my instincts each day by listening to what feels right despite the risks, challenges and discomfort that inevitably lie ahead. There is something hopeful in knowing that what works for the Monarchs and the majority of species on this planet can work for me, too. And in this way, I hope to move toward a more authentic life. The impact of this experience will be with me for the rest of my life. 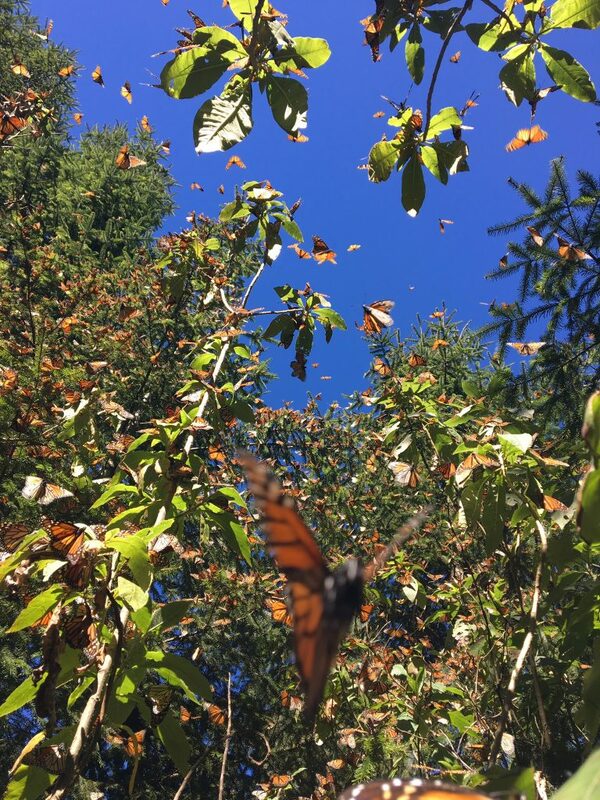 I will never forget the sound of a million butterfly wings, the smell of the fresh earth and pine needles, the touch of the butterfly legs on my hands and forehead, and the sights of the Mariposas Monarcas that are now permanently etched in my memory. What an incredible gift. 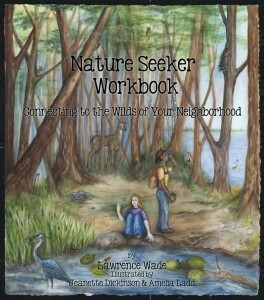 This entry was posted in Connecting to Nature, Insects, Nature Notes, Photography/Art. Bookmark the permalink.